Our company is engaged in transportation of various construction and economic equipment. We specialize in these services and have a lot of experience. 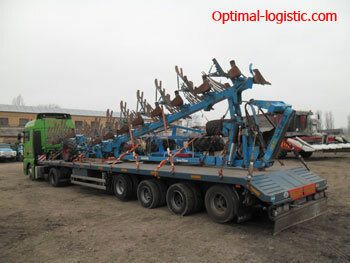 Transportation of cultivators is one of the main activities of optimal-logistic.com. The cargo will be delivered in the same condition as it was shipped (we guarantee the safety of the transported equipment). Central Asia and other foreign countries. You can also find out the cost of services by phone or by using the form on the website. By contacting us you can quickly place an order for these services. Our managers will answer all your questions and discuss all aspects of transportation and its documentation depending on the itinerary.